Maltex Fashions Private Limited, is widely known to be one of leading manufacturer and supplier of a beautiful range of Fabric Tape. 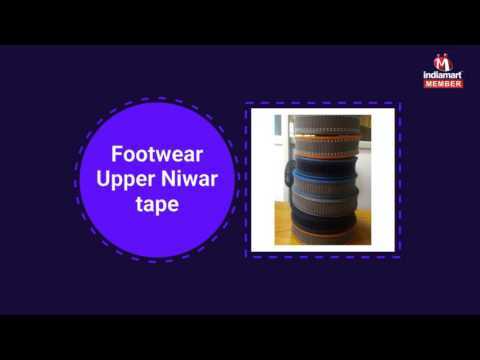 The range offered by us is inclusive of the Webbing Tape, Polyester Tape, and Cotton Dyed Tape. These are made in compliance with the set industry norms by utilizing the finest materials. Owing to its fine finishing, best quality, fade resistance, attractive colors and elegant print these items are widely praised among the clients. In addition to this, the offered array can be availed from us at affordable prices. Apart from this, these products are used in furniture, garment, footwear, luggage and many more industries.